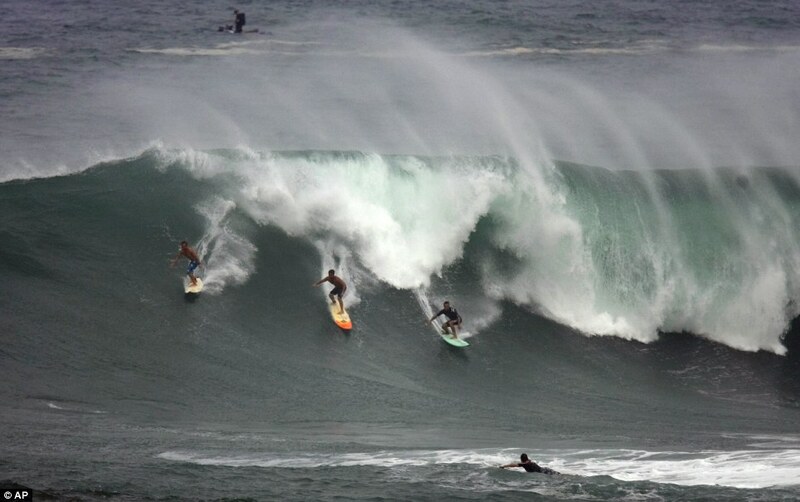 Surfers from around the world have been making their way to the North Shore of Oahu, Hawaii in the hopes of competing in the Quicksilver in Memory of Eddie Aikau event, which hasn’t been held since 2004. 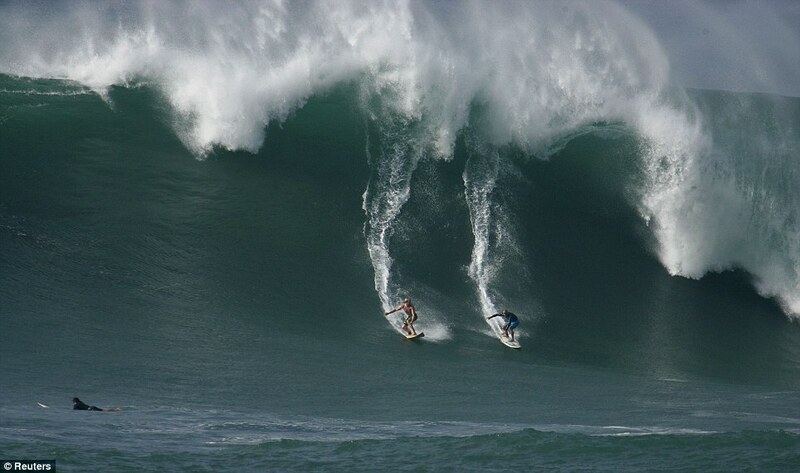 The event is only held in perfect conditions, and requires waves to be at a minimum of 40 feet high. 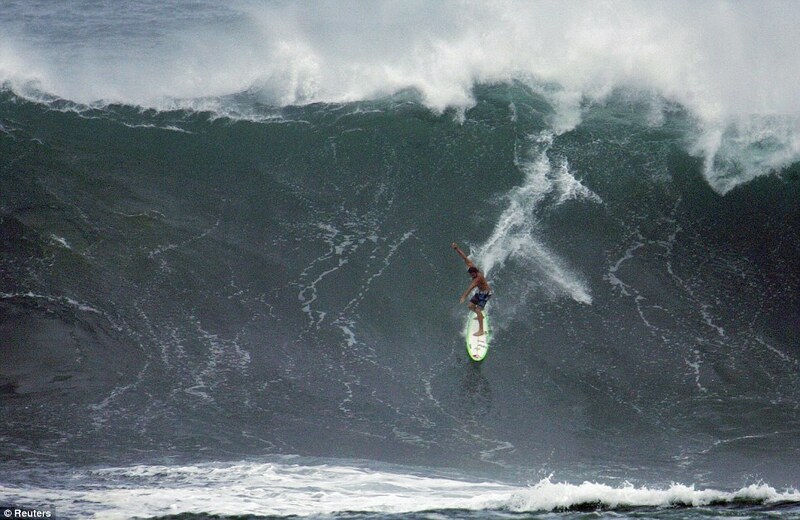 With record surfs, this might be the year to resurrect the competition and so hundreds of top surfers from around the globe have been flying in to Hawaii. 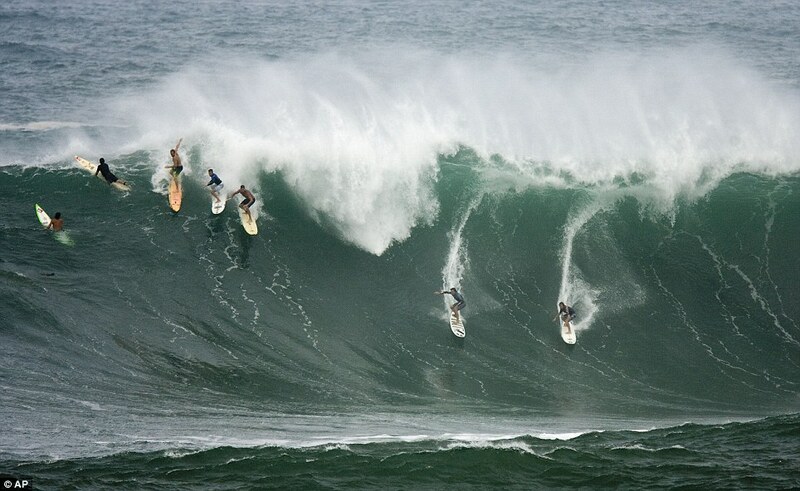 While the contest hasn’t officially started that hasn’t stopped everyone from getting out on the waves and letting loose. And I have another very aesthetically pleasing surfing post coming later today that will knock your socks off.